When it comes to this country of a thousand islands, separating culture and food is simply out of the question. Just like how Indonesia is abundant in natural wonders, you can also find hundreds of different cultures from Sabang to Marauke. With these different cultures, along with various beliefs and religions, food is always the one common ground that all Indonesians from different backgrounds can enjoy. While we also have our own versions of rendang, satay, rojak, and cendol, this list will cover dishes that you can’t find anywhere else. So here are the top 7 dishes that everyone can agree are quintessentially Indonesian. Due to the country’s size and its diverse population, there are many different Indonesian dishes that are considered as the country’s national dish. However, tumpeng was officially chosen as the national dish of Indonesia in 2014 by the Indonesian Ministry of Tourism and Creative Economy. Tumpeng is a cone-shaped rice dish usually eaten during special occasions, ceremonies, and other traditional events in many of the country’s regions. The tumpeng can be made either with nasi uduk (rice cooked with coconut milk, like Malaysia’s nasi lemak) or nasi kuning (rice cooked with turmeric or kunyit). Surrounding the tumpeng, one can find various side dishes like fried chicken, vegetables, shredded omelets, anchovies, peanuts, and tempeh. Just like its neighboring countries, Indonesia typically experiences only two kinds of weather: the rainy, humid days or the scorching hot seasons. To keep warm during the rainy seasons, Indonesians would eat a bowl of this dish either in the roadside warung or in a restaurant. Bakso, or meatballs, is believed to have a Chinese origin, along with bakmi, lumpia, and kwetiau. Indonesian bakso, however, is mainly halal, using beef meatballs instead of the pork balls. Yet, like the Chinese dish, bakso is typically served with vermicelli or yellow noodles. What makes the Indonesian bakso so special is that you can find so many variations like bakso Malang, bakso atom, cheese-filled bakso, and bakso urat (tendon meatballs). Indonesians like to smother everything with chili so it’s safe to say that Indonesian sambal is the best chili paste around. While Malaysian and Singaporean sambal tends to be on the sweeter side, Indonesian sambal (or sambel) punches you in the face because of its kickin’ spiciness. One of the staple sambals is the sambel terasi, also known as sambel belacan, made with red or green chili, shrimp paste, sugar, salt, and pounded tomatoes. Sambal terasi is often paired with ayam penyet, lalapan or raw vegetables, duck, and fish. Other popular types of sambal in Indonesia include sambel ijo, sambel kecap, sambel tomat, sambel matah, and many, many more. Other than bakso, Indonesians would also eat bubur (porridge) during rainy seasons. Some don’t even wait until it rains, though, and would just eat bubur for breakfast every morning. A popular variation of this Indonesian dish is the classic bubur ayam featuring porridge topped with shredded chicken, fried shallot, scallion, peanuts, sweet soy sauce, and cakwe or youtiao. Different regions would have their own versions of the dish like tinutuan or bubur Manado from North Sulawesi. Tinutuan uses pumpkin or sweet potato as well as anchovies as the toppings along with water spinach, sambal, and melinjo. Aside from the savory porridge, bubur would also be eaten as a dessert. Dessert porridge in Indonesia include bubur sumsum, bubur pacar, and bubur kacang ijo. If you’re looking for a truly Indonesian dessert to try, then this thousand-layer cake is the dessert to indulge in. 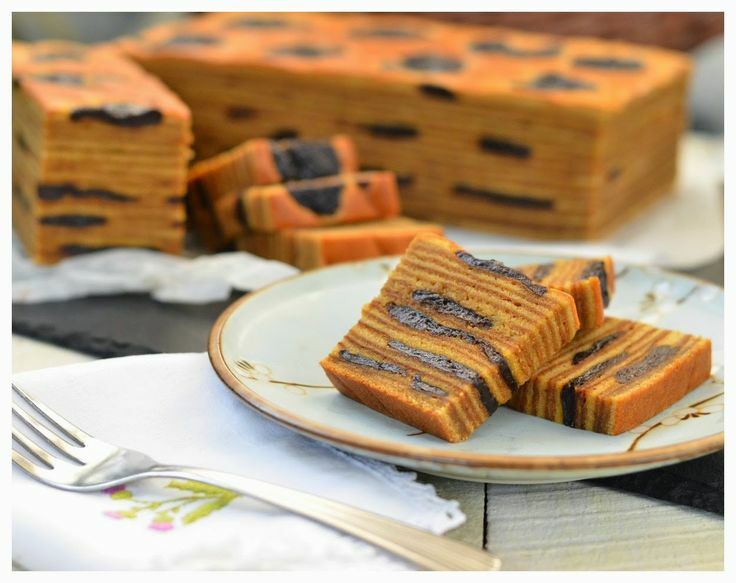 Also known as spekkoek because of its Dutch roots, the lapis legit is typically eaten during Eid, Christmas, Chinese New Year, or they can even be found on the living room table to be served to houseguests on the daily. The lapis legit is dense yet moist, its thousand layers filled with buttery goodness that goes superbly well with the fruity jams. 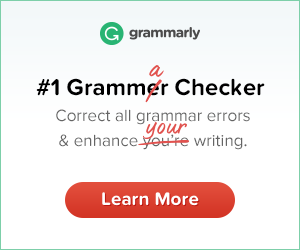 It’s made with a blend of Indonesian spices like cinnamon, cardamom, and anise, plenty of butter or margarine, and fruits like prunes or raisins as a topping. Not drooling for this Indonesian cake yet? Well, the lapis legit was listed as one of the world’s most delicious cakes by CNN, along with American cheesecake, Italy’s tiramisu, Malaysia’s pandan cake, and Britain’s Victoria sponge. Native to the South Sumatran city of Palembang, pempek, empek-empek, or mpek-mpek is a dish comprising of steamed and fried fishcakes and served with a sweet and sour (and sometimes spicy) soy sauce. They are also served along with yellow noodles and diced cucumbers to help you neutralize the sourness and the spiciness of the soy sauce. 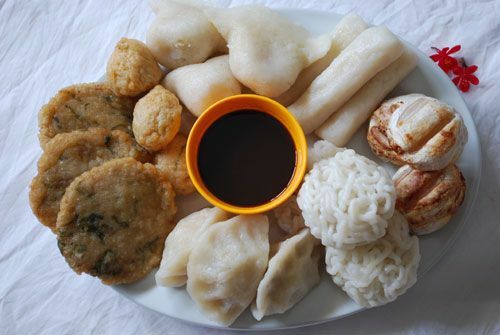 There are around 15 variations of pempek but the most popular ones are pempek kapal selam, pempek lenjer, pempek adaan, and pempek kulit. Although this instant noodle is not necessarily a cultural food, eating Indomie has been ingrained in our culture so much that not including it to this list feels so, so wrong. Indomie, especially the goreng or fried kind, is incredibly popular across the world. People have made songs, handbags, and the brand has broken multiple Guinness Book of World Records. 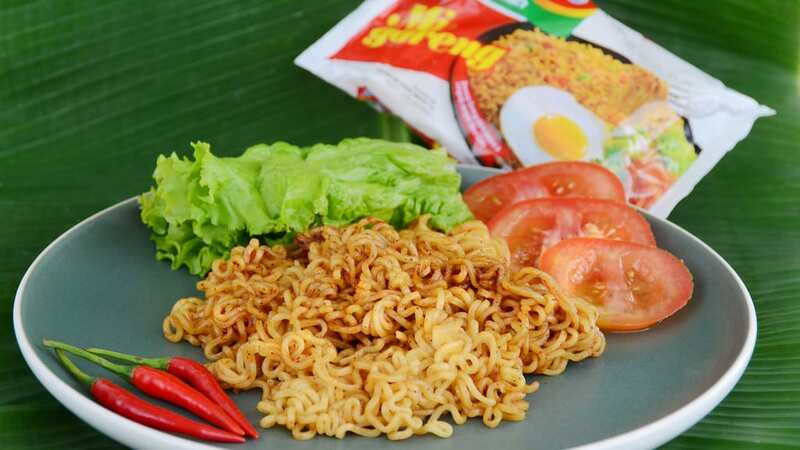 Other than the popular Mie Goreng, Indomie also has other flavors such as Kari Ayam, Soto Mie, Bakso Sapi, Rendang, Ayam Jamur, and more. Some Indonesians would also add their own little twists to the Indomie by adding cheese and sausages, pouring milk and cracking and into the broth, or straight up eat the Indomie goreng with a plate of rice. I can go on and list about a hundred more dishes that defines what it’s like to be an Indonesian but these seven dishes should help you get started on your Indonesian cuisine journey. Selamat makan!